What Enemies Do Centipedes Have? When to Apply Weed and Feed to Centipede Grass? Centipede grass is a warm weather perennial plant. The slowing growing grass requires little maintenance and fertilizer to thrive in well-drained soils. According to North Carolina State University, applying too much fertilizer to the centipede grass lawn will kill the turf. You can control centipede grass through two separate processes. Mix the 2,4-D herbicide according to label directions. The optimal time for application will be when the centipede grass is beginning to green up in the early spring. Spray the lawn in early morning when the winds are calm. Over spray of the herbicide will injure other plants. Wait one to two weeks before another herbicide application. Inspect the centipede grass for signs of new green growth. Apply the herbicide spray to the green areas of the centipede grass. Burn the grass during the dormant period of its growth cycle. In most all cases, this will be during the coldest time of year for your climate. Burning the top dead grass blades will expose the lower root system of the plant. This root exposure will kill the centipede grass. Centipede decline is a term used to describe a number of conditions that result in round dead patches in the lawn, or yellowing grass. Common causes of this problem include overuse of nitrogen fertilizer, improper soil pH, excessive thatch or pests. Follow application instructions for fertilizers and test your soil for pH levels to avoid these issues. 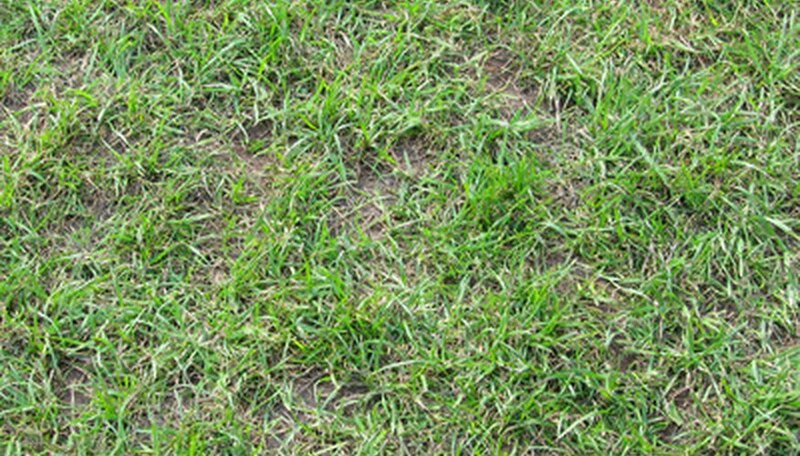 Aerate the lawn in areas in which thatch (very dense turf) may be disrupting the absorption of water. Certain pests, such as nematodes and ground pearls are detrimental to centipede grass health. Lawns that have been over-fertilized with nitrogen fertilizers are more susceptible to these problems. Lawns with very sandy soil are also more likely to suffer from nematodes. As there are no effective insecticides to control these pests, the best approach is prevention. If you do suspect pest damage, collect a soil sample from the affected area and consult with your local cooperative extension service for region-specific remedies. Centipede grass is less drought-tolerant than many homeowners have been led to believe. During times of limited rainfall, regular watering can protect your lawn from wilting. Experts at the Alabama Cooperative Extension Service recommend watering deeply rather than frequently to keep your lawn uniformly green during the growing season. If drought does bring about some browning during the summer, centipede will usually green back quickly once sufficient moisture is received. Amblyoponese ants are considered to be the most primitive of formicids, according to the Orkin pest control website. 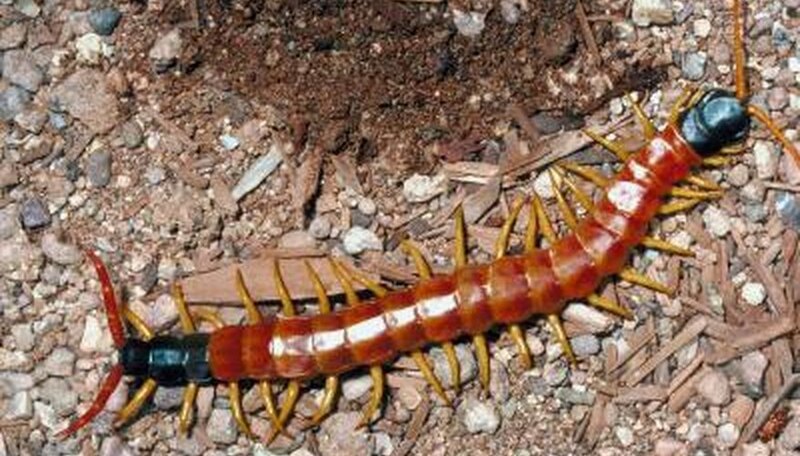 They exclusively feed on centipedes, making them the most deadly of enemies. Living in colonies of up to 50 ants, they have elongated mandibles, which are used to grab centipedes. Once they have hold of it, they kill it with their metasoma. Although centipedes will curl up into a spiral to protect itself, when attacked by a number of ants they stand little chance of survival. Badgers are abundant throughout the United States, and being omnivores, they will eat virtually anything they come across, including centipedes. Earthworms are their main source of food though, but they also attack and prey on much bigger creatures such as mice, wasp nests and hedgehogs. They are effective hunters and will make short work of any centipede that they come across. The common shrew often targets centipedes and millipedes for food. Shrews eat every two to three hours to survive and forage for food, which can bring them into direct contact with centipedes, according to the Mammal Society. The shrew’s main diet is insects but they will also target slugs and snails. There are more than 300 known species of toad, the majority of which will readily eat centipedes. Toads will only eat insects and worms, and primarily hunt using their lightening fast and sticky tongue that grasps centipedes and brings them back into the mouth. With such a fast and surprising attack, centipedes do not have much defense against a toad, whether large or small in size. Test the soil pH. Centipede grass prefers a pH of 5.0 to 5.5. Amend the soil with lime or other nutrients to get it in the proper range as recommended by the test results. Apply fertilizer to centipede grass once or twice a year. If applying twice, use only half the recommended amount each time. For a once-a-year fertilization, spread in June. For twice a year, apply in June and September. For a balanced fertilizer for centipede grass, use one with an NPK of 15-0-15. Water centipede grass in the morning, when necessary. The drought-tolerant centipede grass doesn't require watering every day ,or even every other day. Morning water keeps water from evaporating. This time of day also prevents mold growth. Mow grass at a height of 1 1/2 inches. Let it grow higher if drought conditions exist. Weed and feed products are not recommended for centipede grass; it should be treated with separate products for weed control and fertilization. Most weed and feed products contain herbicides and too much phosphorous, both of which can can damage centipede grass.